“08” 0.5 – 1.0 The lengths of the Studs are constructed in a such a way, so that a continuous use of the “H” dimension is possible. 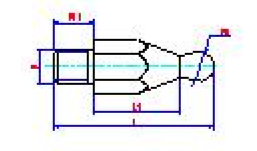 “11” 1.0 – 2.0 The lengths of the Studs are constructed in a such a way, so that a continuous use of the “H” dimension is possible. 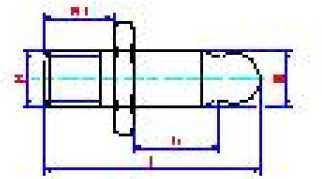 “16” 1.0 – 2.0 The lengths of the Studs are constructed in a such a way, so that a continuous use of the “H” dimension is possible. 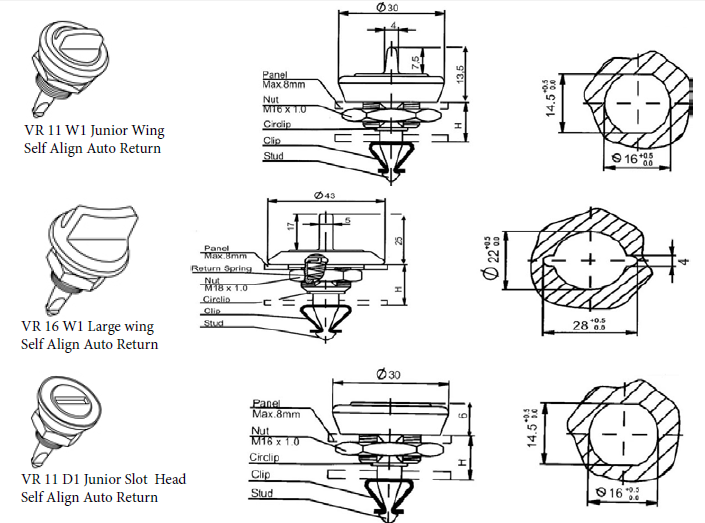 Self Alignment feature demanded on high value products where: auto return is appreciated. 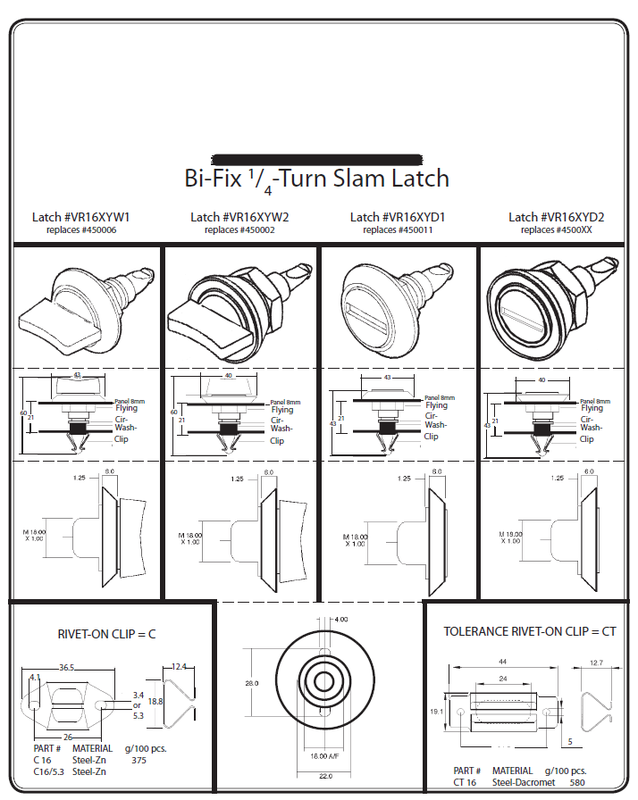 SELF ALIGNING BI FIX 1/4 turns slam to close; auto return feature eliminates need to reset. 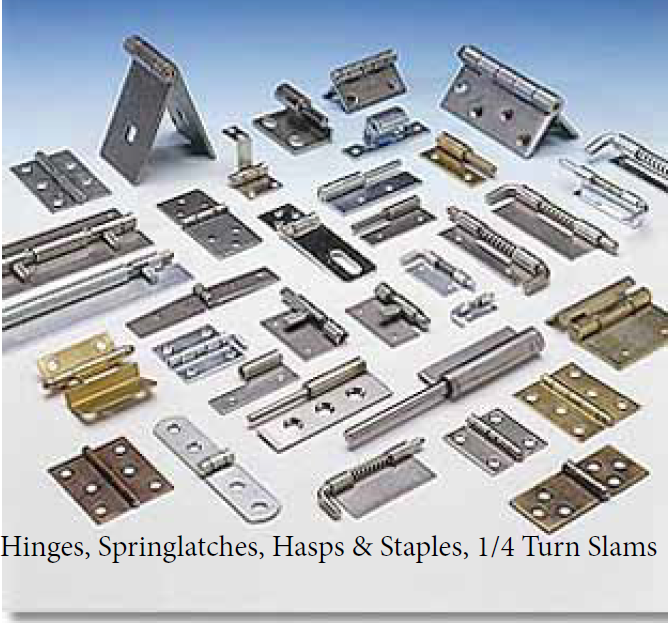 Very high quality secure slam latch – solidly constructed and aesthetically superb. For use in rugged applications where strength, resistance to vibration and security are important. Quarter turn to open. 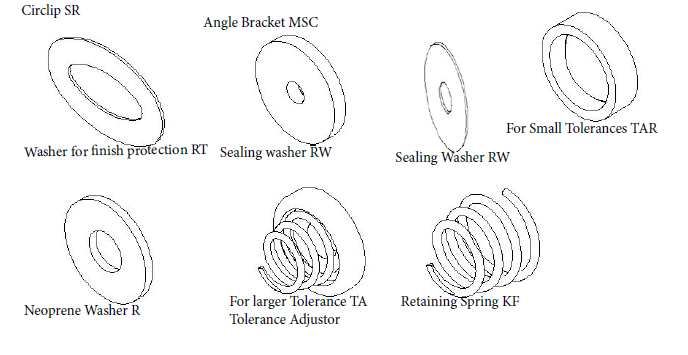 When the key is removed, the fastener aligns automatically. 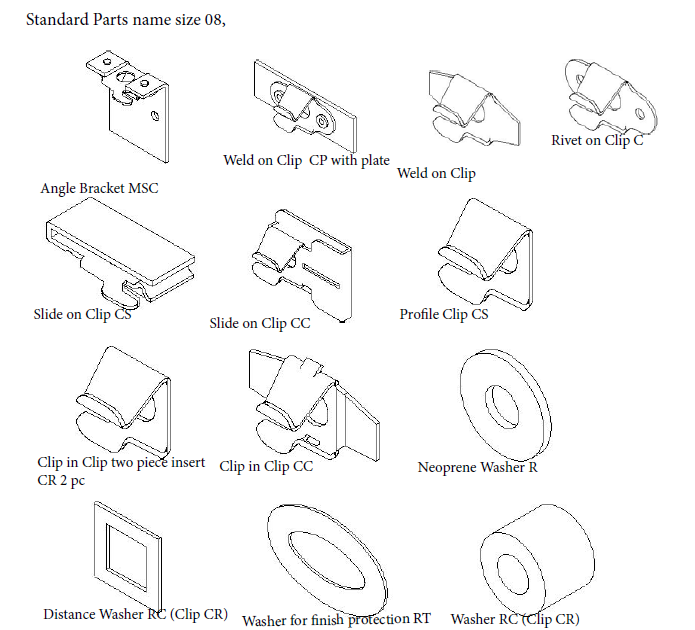 Key locks are available in any grip length and do not require any special recessing. One size fits all types and sizes. There are up to 200 variations of keys (F000 to F200). Master keys are also available. 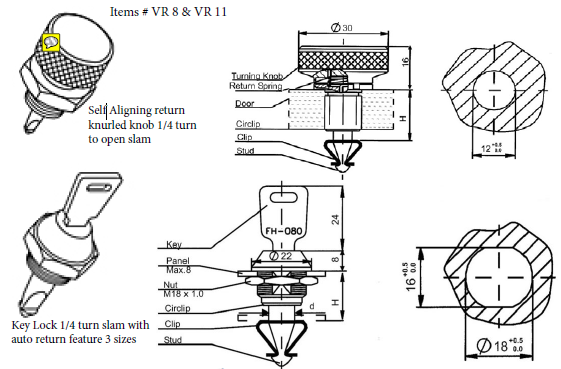 Finger pressure on top of the head of the Stud is sufficient to click the Fastener into the locked position. (Fig. 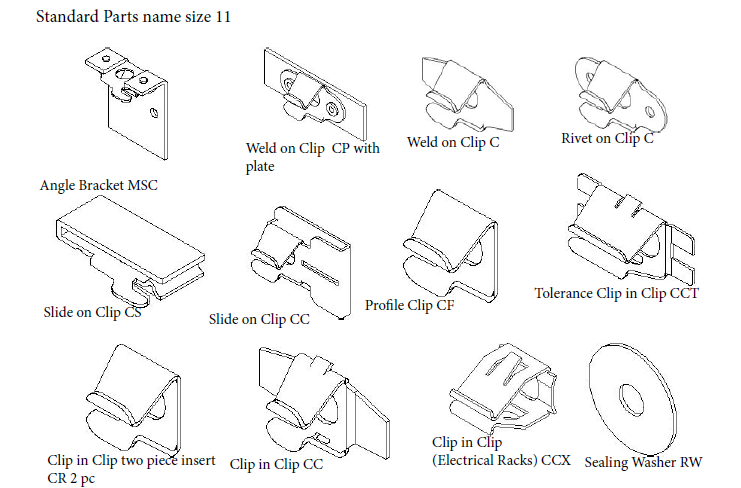 2) In locked position, the two sides of the Clip seize the notches of the Stud. This connection cannot be opened by vibration or shocks, unless reaching some 100 g (acceleration due to gravity). 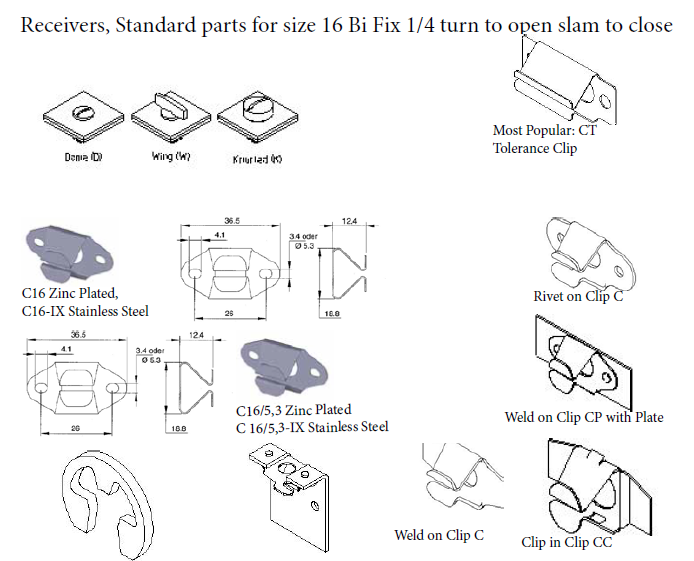 Under axial tension the fasteners become more and more form-fit, until the clip reaches maximum load (see technical details). 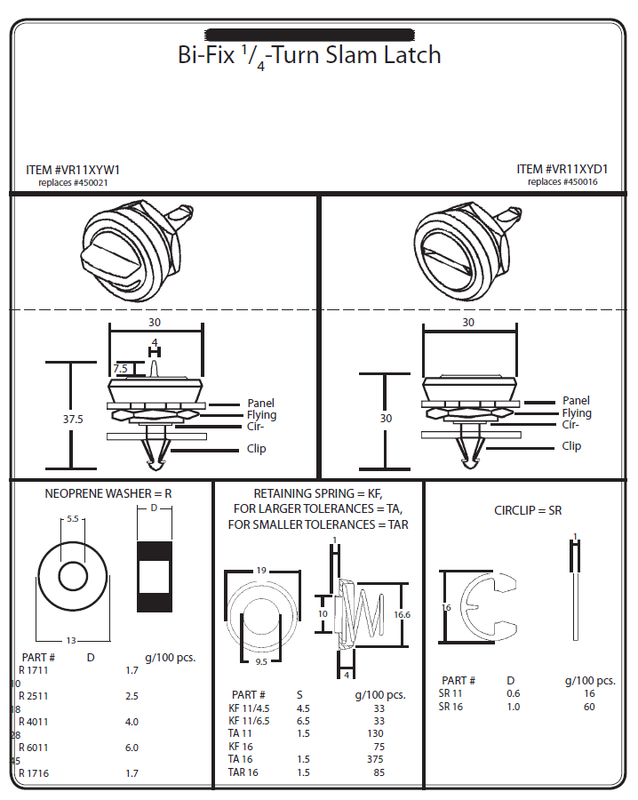 The BI-FIX quarter-turn fastener can be used where ver 2 elements have to be fastened and detached in a quick and safe manner. 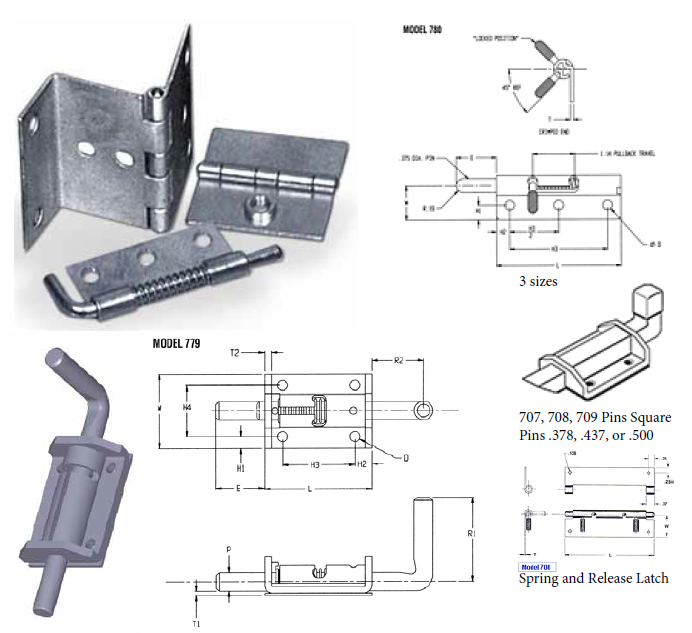 The BI-FIX quarter-turn fastener is ideal for any application where panels, doors or hatches are continually opened or removed for maintenance or security manufactured from quality materials they are rugged and easy to operate. 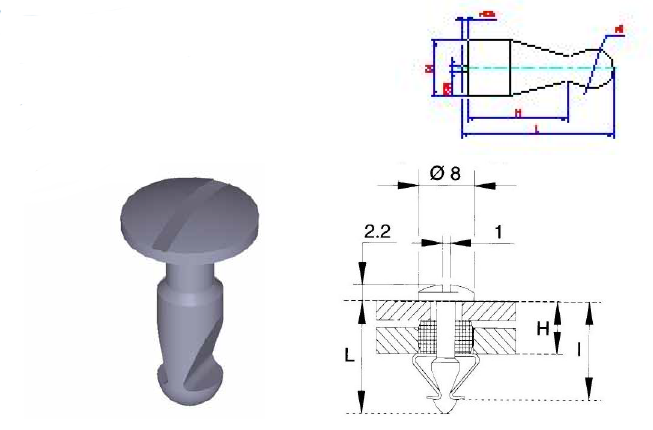 The most simple BI-FIX quarter-turn fastener consists of 3 parts: The Stud, which is located in the panel (loose part). 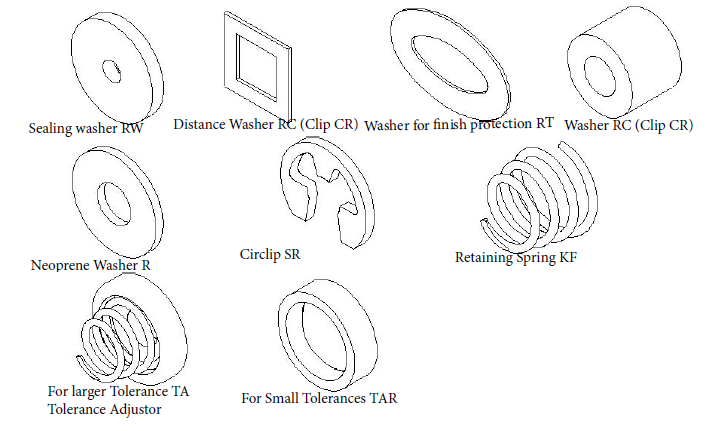 The Washer, which is used for retention and vibration resistance. 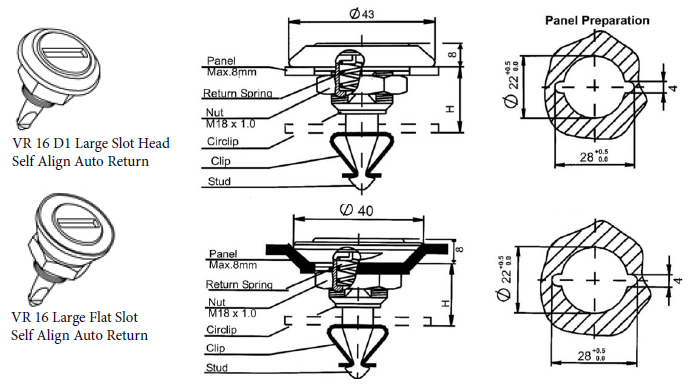 The Spring Clip, which is installed permanently into the framework. 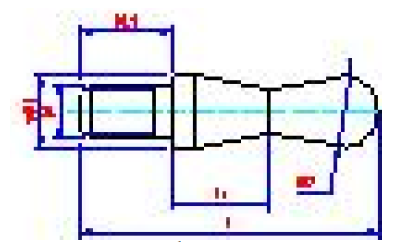 three size receivers 08, 11, or 16.
continuous use of the “H” dimension is possible. 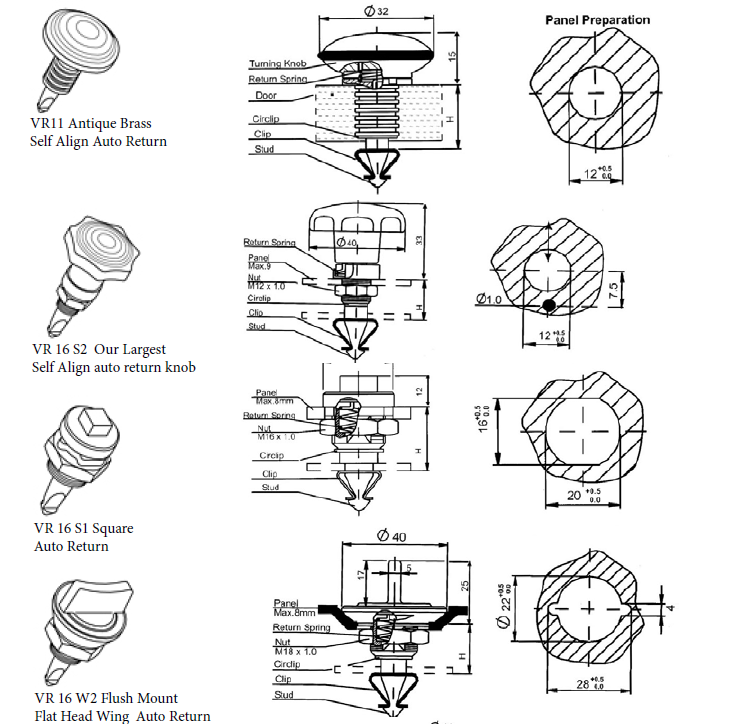 16 standard Push-Pull Studs available external thread, Hex Spherical, or Weld on base. 9.0 mm Width across Flats SW!